Do you love poker? Do you want to play with real people whenever and wherever you want? The only thing you need is your Mac and internet connection! Now just add a bit of skill and youll have your first winnings! It doesnt really matter whether you are a newbie without basic knowledge of rules or a weathered poker-shark, you will find a table suitable for you. 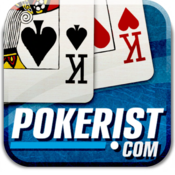 Come and join the club where poker fans from all over the world. You join a game, but you dont have anything good on your hands. Everyone has folded except you and one other player. You take another look at your cards. Can you bluff you way through? Texas Poker holds plenty of exciting poker action for players of all levels. Play, bluff, win, chat with others at the table, buy them gifts. You were impressed by the way your opponent had played a hand, or maybe you want to celebrate your own victory? Gain levels by winning hands, check out other players stats and level trying to guess how good they are. But what if you are new to poker and dont even know basics? Do not worry, we have an interactive tutorial which will quickly help you to get into the game. Think you are already good enough? Then just choose a table and get ready for tough competition!